I wrote most of this letter at the beginning of the month after a trip to Belgorod and Tjumen (Siberia). But now I must add a note about the tragic death of my brother Egon on March 8. He was pastor of Grace and Peace Fellowship in St. Louis since it started in 1971. He was found dead by his own choice, when some members of his church came to a Bible study in the morning. We have found no note or sign of physical struggle. We grieve deeply over this horrible and sad situation in his life and ours and that of the church. I wish I knew...He was deeply respected and loved in the congregation. He had distanced himself from our family for years, however, so we do not know what he thought, felt and struggled with in recent times. Debby, Isaac and I went immediately. Mother came from Austria. We had a sound and wonderful funeral service at his church with open grief and sincere loss. Our friend and his for years, Jerram Barrs, preached from Lamentations chapter 3 and expressed well the agony of the Lord's people over a fallen world and a tragic isolation, while we take comfort from the faithfulness of the Lord for Egon, for ourselves and for the congregation of Grace and Peace. The church was packed. We sang long and rich German hymns to express our confidence in sorrow and pain. There happily were no references to the unbiblical ideas about death being the will of God. The Lord had taken us to a funeral place run by a real Christian. We were spared the deceptions seemingly intrinsic to the American way of death. We placed Egon's body not far from (Lewis and) Clark's in the old Belfontain cemetery. I requested to lower the first shovel of dirt on the coffin. Debby and Isaac followed. Then the congregation took turns until they had filled the whole grave, in expectation of the resurrection. We were there at his funeral, and we shall be together on the day of the resurrection. It did put the grave diggers out of part of their work and might have raised questions in their minds about insurance and labor laws. Mother was deeply moved when church members came to tell her how much help Egon had been to them in the many years in which she had heard nothing directly from him. It was like a view into his life work. We will go back to St. Louis now to sort through his things. 1)I will speak for Prison Fellowship later in April to address issues from the perspective of The Bible as a View of the World. 2)In May I am scheduled to go to Romania for two Convocations and to give lectures at Swedish L'Abri for the Francis Schaeffer Foundation about Dr. Schaeffer's lasting legacy. 3)At the end of May I will teach for a week at the Reformed Theological Seminary in Orlando, Fl. With the subject of "Christianity and Culture" I want to start with a suggestion of how the Mickey and Goofy mentality of Disneyland has influenced our understanding of the Bible. Orlando is an appropriate venue. 4)We will of course continue our work in New York as well. We have a schedule of lectures and discussions. 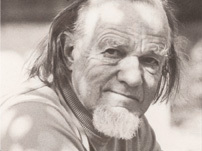 Please note that from June 15 through July 15 we will again have a study program of the Francis A. Schaeffer Foundation in our house in Gryon, Switzerland. You may know of one or the other person who would benefit from such a session. We study the Biblical view of Reality in the context of L'Abri tapes, lectures, long discussions during meals and a number of field trips. We have room for 6-8 students. Anyone interested should contact us directly for dates and cost. The Swiss context gives such a powerful illustration of the relationship between what people believed and how they shaped their personal lives, their work habits and their communities. It is also beneficial to study these questions in such an intense and yet creative context as our work in Switzerland in the summer. You are now able to purchase my lectures from Russia on Video in English from "The International School Project", P.O.Box 7690, Laguna Niguel, CA 92607-7690. They can be a good basis for a discussion of the foundations of Christianity, given to a non-Christian audience. Many of our team in Russia have found them helpful and stimulating. A study guide is in preparation, I am told. I must tell you more about my work in Russia with much heaviness. I returned to NY early in March on a clean flight of Swissair, a friendly welcome after almost three weeks in what today is often called an alternative cultural context. Now the floors are again clean, the pillows in place, and even the smile of the stewardess is a welcome reality. Reaching Moscow on Aeroflot in late February to leave seemed to drag on longer than usual. There comes a point where I just want to go home. What am I doing this for, repeatedly, while so much seems to work directly against what we desire to do? The situation in Russia and the former republics is getting tougher. There is a heavy silence, almost like a foreboding of unknown things, over the crowd. Noone seems to know, who is doing what when and where. The release from prison of the participants and instigators of the October 93 and the August 91 coups: Chasbulatov and Rutskoi. All the military decorations were again on their chest. Other pictures showed the Attorney General resigning because he could find no legal way to retain them any longer. As you know, parliament, with the votes of the nationalists and the former communists, had passed a resolution extending pardon to them in a general amnesty. This does not add to the pacification of the country. It does not create a legal protection so necessary for any civilization. It makes mockery of crime and innocence, of power and law. Additional questions remain unanswered about whether a deal has been struck; why did the Attorney General release the men in person rather than merely signing an order? A pardon implies admission of wrong, when it is granted in a lawful society. It arrests prosecution, but does not remove culpability. Those pardoned usually begin a quieter life, happy about their freedom, somewhat ashamed and staying out of the light until they have earned the right to public life again by new merits. I fear that none of the above will occur at this time. The climate in the country is one of considerable dispair. Prices have risen, even if provisions have filled the shelves a bit more than before, at least in Russia. The higher prices have attracted goods hidden until now. High inflation of about 20% per month reduces the buying power of the people, whose salary does not keep up at that pace. There is little incentive to start a business, as no law protects you against street crime, security money demanded by bands, or the city taking down the business tomorrow because of a new governmental decree. There is no recourse, no appeal, no certainty. Among the young, the students, as much as among their parents, I find no interest or confidence in public life. Not just politics, which is considered evil. There is also no interest in contributing to the public life of the market. One does not talk about law, civility, ideas, or public responsibilities. Of course much of this is most likely the direct result of historic factors. There is no history of debate, of various points of view discussed and compared and chosen among free people. Under Marxism, there was only the scientific view. All others were only held by the sick, irrational and unscientific people. Under the earlier government, there was no effective constitution, no public discussions. Instead all of life was, with short exception, controlled socially, intellectually and economically. Bakunin, Herzen and a few others revolted as anarchists, expressing bottled up tensions without resolution. There is also the history of persecution, of political police testing your fidelity to the cause all the time. You dared not speak, for fear of being overheard. You also could not trust the person you were speaking with, including the members of your own family or your lover. In addition you were made to believe that your life was a portion of an historical process, necessary and almost religious in nature, world-changing in its dimensions. You are not able to understand the totality, so you must accept and not question. This view is Islamic, but also the religion of Marxist atheism with its myth of a quasi-divine energy principle at the base of all events. And it had been part of Orthodoxy in its faith in its purity, in a special call of Russia's church, of Moscow as the third Rome. Finally, the process is inevitable on the background of Hegel's view of the dialectic march of history. That march is confrontative. Images of war, of anti-thesis, of class struggle, of survival of the fittest and annihilation of the weak are ubiquitous. So people rarely speak out. They fear conflict. Ergo: Silence. There are complaints about the changes introduced over the last five years. Many desire a return to fixed prices, free education, sufficient pensions and a dream of egality on a low level. Life's basic needs were then taken care of for all alike without the discrepancies associated with capitalism and individual choices. That wish does not come from a wider debate among educated people. Instead, I fear, it may be a cry of dispair from people who are lost, untrained and humiliated. It is not far fetched to fear another civil war. My heaviness at this time comes out of the realization of my own finiteness. What can one do for a nation of 260 million? But they have faces! They are not numbers. I have individuals in mind. You and others remember thousands. I remind myself, that change is always individual, against personal opposition. I have read, with much interest and benefit, Nicholas V. Riasanovsky's "A History of Russia". With all the details of careful scholarship he gives a long history of events, people, ideas, cultural developments and changes since the earliest days of people coming into the steppe of Southern Russia in the great migrations of the 6th century. There is a history leading up to the present situation. There has been no change, no break with the past. The present leaders are mostly old Marxists. They , in turn, repeat the world of ideas of Bakunin and Herzel, who together with other anarchists in the 19th century, saw in Hegel the justification for their own heated philosophy. The roots go deeper still into the Russian past, where there was neither Reformation nor the social theology of Roman Catholicism with its reforms in the Middle Ages. Instead, Russia has seemingly always been a context of power and exploitation, of extreme suffering and imposed rule. There has been no conversion now, neither change of heart nor repentance. Facing a new historic period, people have embraced new versions of the same older ideas and measures. We are in the present, but the ideas about people, about society, about education, about ideas themselves have changed little. How much is seeking after truth encouraged in such a philosophical climate? It is a whole new experience for me. Russia had a Government of Law only for a few years after the judicial reforms of 1864. Before, law was a matter of edicts. We would call them executive orders, often leading to executions. Those in power would say what was law for as long as they wanted it that way. Appeals were made to mercy, not to courts on the basis of law. There was no independent judiciary, all decisions were reconsidered by the administrators, who had made them in the first place. Law was always a matter of power, not of justice. The independent judiciary lasted for a about 15 years after 1864. In the wake of rising anarchism, social unrest and demands for more freedoms from governmental structures in pursuit of "realism", found in the peasant model of society, the old system was re-instated. Then came the Revolution of 1917. A second attempt of government of law rather than of men in the 3rd and 4th Duma had been interrupted by the First World War. There has never been a genuine experience of law with any significant duration in Russia. Again today you find no law over the rulers. Their whim becomes law. It is unpredictable, arbitrary and incontestable. It inspires no confidence or investment. When an amnesty frees the participants of the coups, there is no awareness of wrong. A pardon does not mean the admission of guilt. Heroes have come out to join the crowd of those who, as a coalition of nationalists and Marxists, want to go back to the older order: A government of men, not of law; an ideology about a quasi-religious and mystical call to Russia to find its own way; a total denial that life in the real world needs God's word to inform, to change our thinking and to interfere with the interplay of power, with human sin and with spiritual blindness. Concretely, that blindness extends to so many areas. People I address in my lectures and conversations are eager to hear about God. But they also have the tendency to filter all of Christianity through the grid of their thought patterns, their experiences, their indoctrinated minds and the ignorance about the rest of the world, including the world of thought. Most have no ideas about the Bible except for the myths and legends which they have been told. ( I do point out that they have believed myths and legends about the Bible being nothing but myths and legends!). There is little knowledge about the world outside, the way people live elsewhere.The questions are often interesting, but there is also a surprising number of really bizarre ones. Was Jesus an astronaut? In addition they have no knowledge of the relation between the teaching of the Bible in our culture in the past and what this has produced through the centuries: Ideas about art and society, about love and grace, about economics and civil societies, about doubt and discovery in human, material and intellectual areas have never been a significant part of the Russian intellectual life. Consequently, there is no recognition that economic change can only come when individuals begin to work in a context of laws, that protect the responsible enterprise of people. Many believe that the historic collapse of materialism should automatically produce capitalism. The study of the Bible should give miraculous solutions to their problems. If there is a God, why does he not heal all sick? There is always hope for magical solution, but not that the hard work over time will deserve rewards and respect. People expect something of a welfare state in economic and spiritual realms. They have seen no benefits to personal choice, or responsibility, of the work ethic and of personal merit. The absence of the open, discussing, competing and discovering society is also a result of the teaching of Orthodoxy and other churches. After almost three years of observing, reading about and speaking with a number of churchmen in various levels of the hierarchy a very sad picture emerges. We work closely with a number of priests in the course of the convocations. Some are very friendly, some outright hostile. As often before in other places, the archbishop of Tjumen marched to the educational department and protested the arrival of "these Roman Catholics." He had not bothered to inform himself accurately. He did not desire any discussion with us. He also did not want to speak at the Convocation. He just claimed the territory and the minds of the people. Many teachers and administrators recognize a difference between what we teach and what they were told. They discover the Bible's wealth to the mind and heart in the full circle of reality. Riasanovsky supports our understanding, that the church has contributed to a cocoon and thereby prevented the influence of God's word in the lives of individuals and society. Firstly, the merger of nationalism and Orthodoxy excluded any non-Russian ideas from having an impact or being a challenge. Secondly, suffering was seen as a way to spiritual growth, with the result that no problem would ever serve as a control on what was believed or done. If it hurt, it must be good for you! Thirdly, man must abandon all creational pursuits. He must embrace a life of spirituality, which means a life of irrationality, immateriality and of denial. Fourth, the chasm between the clergy and the laity continued the distance between the elite and the commoner, between those who know and those who are ignorant. A permanent dichotomy in the field of knowledge results in the impossibility to be challenged. Here is no recognition of the priesthood of all believers. Man is declared permanently immature. His mind, his life and his work are of no value in the spiritual journey. He must achieve heaven through the liturgy of the church. There is no Gospel of grace, based on Christ's coming to earth. I must introduce you to Otto Koch, a distinguished looking man in the audience. He came up and spoke German with me right away. He has an accent, but makes very few mistakes. He was one of the many Volga Germans who were settled as a bulwark against the Tartars in the southeast under Catherine II. Stalin drove them out to the Altai Mts, because he mistrusted their loyalty. Otto survived where thousands did not. He is a teacher, a journalist, a youth worker in the system, but has been followed by the political police for 15 years and kept from promotions. Otto does not believe in God, but not in "energy" either. He does not know. He is widely read and showed me his many books at his home. We ate a meal with his wife and daughters. His wife, incidentally, is a born Orlova, somewhere in the distant past related to our family Orlov. As we talked it became clear that he never heard anything Biblical about Christianity. He was fascinated that I had become a Christian when reality raised questions in the realm of law. As we continued, he kept translating for his family with amazement marking his face. It was new to him that the Bible addresses us as thinking people ("Come now, let us reason together"), that suffering was not virtuous in itself to be a Christian (Christ at the tomb of Lazarus} and that poverty is not in itself a Christian calling. He now wants to read the Bible we gave him, except that his daughters had taken it already to read for themselves!! Otto represents many others. There is a starved people with little knowledge of the real world. Theirs has been an existence under images, with ideologies, made to believe myths and misrepresentations. Especially the human mind, spirit, heart, soul has been starved. It is untrained and withered. I spend one afternoon in the University English department with about 20 students. They talked some, asked questions to practice their language skills. They asked about our life, about music, but little else. I wove in a lot of our work and ideas, and hope they understood some things,. The teacher became very interested herself. Earlier, I went to a reception given by the mayor of Belgorod. He wanted to tell us about his city, the commercial opportunities, the training in the schools. It is evident that he was looking for investments. At the same time, the city tour we had been given, focused on nothing but the war fifty years ago. The heroism of the soldiers, the dedication of the mothers to their children, the love for the fatherland and the glory of what the Red Army accomplished against the fascists were the only things we were exposed to. Imagine this after fifty years! Nothing new, nothing historical, nothing treasured from the real past. The focus is on battle, war memorials, details of the lives of Soviet heroes. A recently constructed panorama brings it all out in neo-realism: 65 meters of canvas, old tanks, cars and casualties! So I asked the mayor what the town was doing for its next generation besides having schools? I suggested that the young people's rejection of the massive industrial plants, of the slavery of their parents in the factories and of a life without rewards led them into free enterprise of the worst kind: Nothing but sales, trinkets from the West, participating in the redistribution, but not the creation of goods. The fast money as a result of buying and selling is tempting and gives an illusion of success. However, what was the town doing to encourage people to train for real enterprise, i.e. the creation of new quality products, the development of skills, the creation of new job opportunities by means of tax incentives, revolving bank loans and licensing procedures? "Yes, that is our problem, but we don't know what to do!" Yet without work in these areas there is little hope for a change in the present. Chains of resentment are forming at this time, which will lead to reactions, further resentments. The fast money, under the rule of the Mafia, is a destruction of the soul. It has the fruit of some money, but kills the ability to create, to work, to build a life. There are many blessings to the reformation and its repeated emphasis through generations on preaching the Bible. It informs people of the call of God to be human, to work with the hands, to lead quiet lives, etc. I was again impressed by the emphasis of this in the teaching of the Bible. Imagine Paul, being in Thessalonica only for a few days. He was driven out by an angry and jealous mob. But he had taught a whole world view by then. They turned from idols to the living God on the basis of God's word, not Paul's creative appeal to them (Ch 1:9;2:13;4:1). Paul did not give a quick appeal to trust Jesus. Instead a body of information is given which changes their whole approach to the building blocks of life. This was my second trip to Russia since I wrote last. In December I was for a week each in Kursk and in Orel, both south of Moscow and in an area where my great-grandfather was born. I discovered to my delight that there are a number of Orlovs in the region. US New and World Report had an interesting article in the Nov 1,93 issue about the hard liners holding on to power by clever means in those two regions. We tasted the cool reception, the distance of the officials, the lack of enthusiasm. Teachers came, because we had placed adds in the paper the week before. Again, they warmed up considerable during the time. But things are changing. The open receptions I remember from the past are becoming events of history. Now in the Ukraine last week I found a new enthusiasm among both teachers and officials. Over Christmas we were able to meet in Switzerland thanks to Frequent Flyer Miles. We had the Champery Christmas Eve Candle Light Service, which had been discontinued by L'Abri after we left. About 40 people walked off the street to that beautiful service in response to posters Hannah and I had hung up a few days before. We had deep snow: the first white Christmas in years. Isaac learned to ski and now chooses the hard runs for "full speed ahead". On January 8, Natasha and Paul Pittet were married in the Scottish Church in Lausanne and then left to visit relatives in the US, including us later in the month. They are now living in Basel, where Paul is one of the lawyers for Sandoz Pharmaceuticals. Samantha and Naomi were bride's maids. Hannah's school started before. And she needed to apply to Colleges. She was accepted at NYU!! and will study there this fall in the Gallatin Division and in the field of social sciences. The second Villars Consultation on Relief and Development in Costa Rica followed our return in January. I gave four talks. They are written up. What actually is specifically Christian about Christian relief and development organizations was the focus. It was a good meeting. Several agencies participated that are not known for their Biblical orientation in the relief work, but which present themselves as Christian when they raise funds. Also a number of kindred spirits were discovered. Just as in Russia today, people need to hear that the Bible is more than a book about heaven or personal spirituality. Where the instruction is neglected, faulty views prosper and destroy the spiritual and physical life of man. You will remember how much of the Christian effort to relieve poverty is an effort of distributing what exists already. Instead, the Bible talks about ways of creating, through imagination, work and effort, what is needed to secure life. Many appeal to a sense of guilt only, when the appeal should be to correcting people's attitudes, priorities and life-styles. Debby continues to hold up under about 70 miles of driving each day to Isaac's school. She teaches two classes of French at King's as well. We continue the discussion in the city regularly, taking advantage of Jim and Mardi's welcome to their flat. We have spoken during a November weekend at Tenth Presbyterian Church in Philadelphia and for the Evangelical Fellowship Church in Amarillo in January. The situation of The King's College is still uncertain. A move has been decided, but the sale is not through. We pray, but are not sure about next year. The Carriage House in Briarcliff will be finished in this Spring and will then receive the Schaeffer papers from Rochester. There will be a good-sized lecture room as well as four guest rooms to welcome those interested in independent studies under our direction. I write this in Chernigov, 80 miles East of Chernobyl. We finished another Convocation. I had dinner today in the small flat of the man responsible for churches. He works with the 14 registered churches.He is worried about Russia's attempt to control the Ukraine, and the Orthodox effort to destroy other gourps. He is deeply insightful, a real Christian. He has enjoyed my lectures. He came to the position by way of teaching literature, then aesthetics, then ethics at the medical College and now the Bible. There is a reality to God's promise to reveal himself to those who seek him with all their heart, mind and soul. Udo, Debby, Naomi, Hannah, Isaac.